Today it was announced that a new James Bond novel will be released during 2018 and for the second time it will be penned by Anthony Horowitz. The scoop was presented by The bookseller today over at their twitter account even if I gladly confess that I got the news from the always quick The Book Bond . The publisher will once again be Jonathan Cape. The original publisher chosen by Ian Fleming for the release of his first book Casino Royale in 1953. As a collector I am already starting to dream about the upcoming first edition being the same size as all Fleming first editions with a cover design that resembles the old Richard Chopping artworks. "Hope springs eternal". According to Wikipedia The James Bond books by Ian Fleming where Jonathan Cape's biggest sellers of all time. Jonathan Cape was bought by Random House UK in 1987. That same year the Bond books moves over to be published by Hodder &Stoughton. The latest James Bond book to be released by Jonathan Cape was William Boyd's Solo in 2013 so it was not that long ago they did release a Bond book. 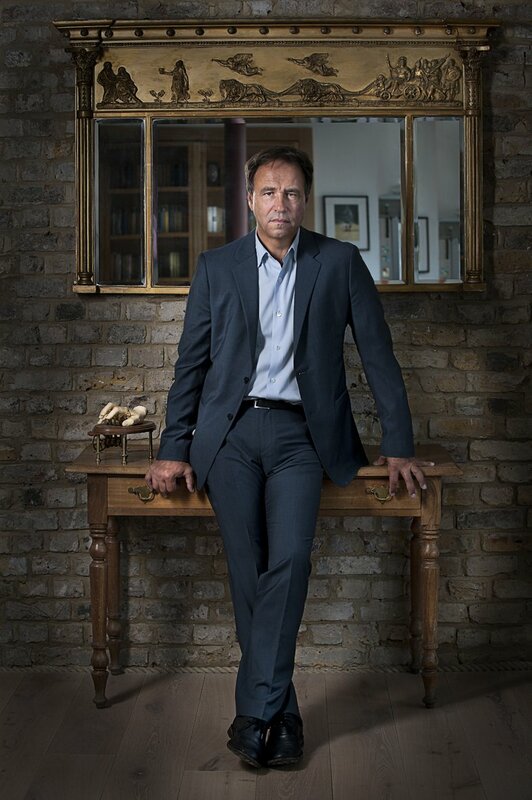 "We are delighted to welcome Anthony Horowitz and a new James Bond novel to Jonathan Cape, Ian Fleming’s publisher. 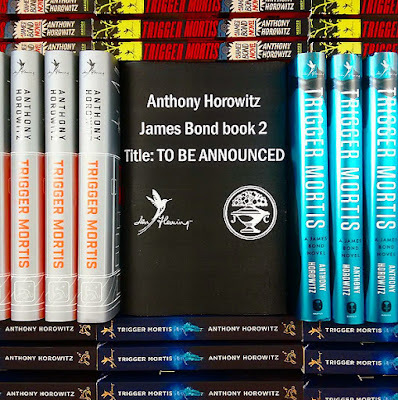 Anthony’s first Bond novel, Trigger Mortis, was a great critical and commercial success, and we know that there are thousands of Bond fans who will be thrilled that Anthony has taken on the challenge once again." 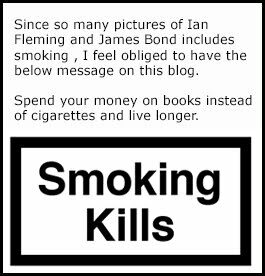 As a sales manager I cant stop wondering what made Ian Fleming Publications chose different publishers so often lately. It must be just like the movie business that in the end you go with the one that pays the most upfront or are willing to spend a lot on marketing upon release. So we will have to wait until spring 2018 before the next book The most reasent James Bond books have been released in September but just like Fleming's books this one will be released in the spring. Once again it has been revelled that the upcoming novel will be a period Bond set in either the 50's or 60's and if that is not enough the book will also include material from another Ian Fleming story. I guess that just like Trigger Mortis this one will include material from the TV-series that Ian Fleming was hoping to sell and wrote short stories for. Here I hope for yet another Waterstones special edition with they actual Fleming script. After reading Trigger Mortis I could not hope more for Horowitz to return for a new book and I was a bit surprised that this news was not released on August 12 (the day Fleming died in 1964) because everybody seemed to love his continuation novel so much that Ian Fleming Publications just couldn't let Horowitz off the hook. But I guess the negotiations was not ready or Horowitz had other obligations on his other books. His newest book Magpie Murders was released yesterday (October 3) so as soon as that was done they decided to spread the news I guess making sure that no bloggers beat them to it. A funny thing is that tomorrow is Global James Bond day. And they did not wait 24 hours to release the news tomorrow so maybe, just maybe, there will be some other James Bond news released tomorrow? Maybe from the other party over at Eon Productions. "Writing Trigger Mortis was a pleasure and I was delighted by the positive response when it was published. And I was thrilled when the Ian Fleming estate asked me to come back. How could I refuse? I can't wait to return to the world of James Bond." October 5, global James Bond amateur day!